Minus The Bear has been around for 13 years now, but it still seems a little early for the band to be releasing an odds-and-ends record. Yet here one is: Lost Loves will collect an album’s worth of songs that didn’t make it onto the prog-inflected indie-rock group’s last three full-lengths, 2007’s Planet Of Ice, 2010’s Omni, and 2012’s Infinity Overhead. One of those songs—“The Lucky Ones,” recorded during the Infinity Overhead sessions—is being debuted here. 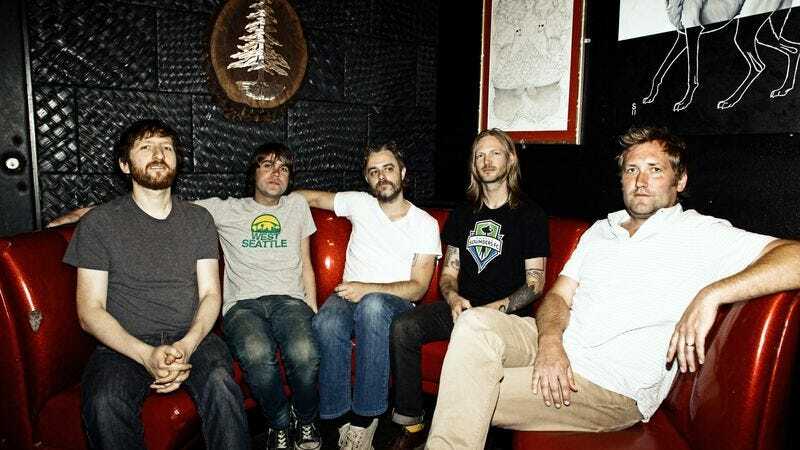 Smooth, cool, and teeming with atmospheric melody, it’s as good as anything Minus The Bear has officially committed to record over the past few years. Lost Loves will be released October 7 via Dangerbird Records. October 19—Rock & Roll Hotel—Washington, D.C.